A mouth swab test for drugs is only good for one thing – testing for recent use of THC. If you smoked weed last week or ate an edible last month, an oral swab drug test won’t turn up positive. But, if you smoked some weed during your lunch break, and your employer decided to implement a mid-afternoon drug test, you might be in trouble. How to pass a mouth swab drug test is all about how to cleanse your oral cavity from all traces of THC. The important thing to remember about mouth swab drug tests is they can only confirm drug use within a short timeframe. Even for heavy smokers, there is a relatively low risk of testing positive for THC if they merely abstain from smoking for 24 hours. Why? It all comes down to science. 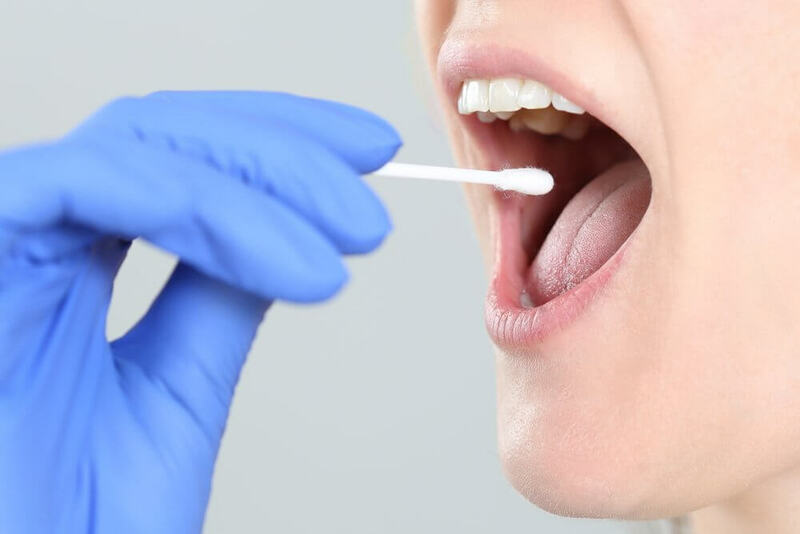 Mouth swabs also called saliva tests or oral swabs, are one of the cheapest and most accessible drug tests on the market. They provide quick results to your employer about what you’ve gotten up to in the previous twelve hours. They typically test for cannabis, amphetamines, cocaine, opiates, and phencyclidine. 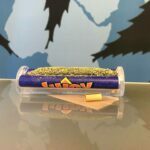 A saliva test won’t trigger positive results if you smoked weed in the distant past, it will only provide accurate results for the immediate past. If you smoked a blunt last week, in all likelihood, it’s not going to trigger a positive oral swab. But if you smoked a blunt over lunch, a mouth swab will pick up traces of the lingering THC molecules. Employers love to rely on oral swabs because they are much less intrusive and technical to use than a urine test. They also like them because the price tag of a saliva test makes them more appealing than the high costs of urine analysis. Before you can understand how to pass a mouth swab drug test, you’ll need to grasp the underlying premise. Before your test, a designated collector (an employee or a third-party drug testing company), will open a new, sealed test kit. The kit includes a collection device, the testing chamber with a liquid solution, and a results indicator. They’ll ask you to open your mouth. Using the long collection device, which may look like a Q-tip or a spongy tongue scraper. You’ll drag the collector along your tongue at least a handful of times. This method collects the saliva and any leftover THC molecules on the inside of your mouth. Once the collection is complete, the designated tester will place the collection device into the testing chamber. Every brand looks and functions slightly differently, but they mostly operate like a pregnancy test. When the saliva is exposed to special liquid on the inside of the chamber, it will display positive or negative results for THC. The test kit may contain one or two bars across the display screen or a color change. No matter what drug test you are subjected to, they all work under the same premise. All tests collect organic material (urine, blood, hair, or saliva) and confirm whether or not the specified compound (THC, cocaine, heroin, or other metabolites) has surpassed the test limit. For example, a test may confirm if there is more than 50 ng/ml of THC in the tested sample. More? That qualifies a positive test. In most cases, the drug test doesn’t actually test for the drug itself. Instead, the test looks for something called metabolites. Our bodies produce these compounds once the original substance metabolizes in the liver. If you smoke cannabis, it passes through the lungs and into the bloodstream. If you eat a weed-packed edible, it takes longer to reach the bloodstream by way of the digestive tract. Both bloodstream entry points, eventually lead to the liver. The liver cleans the blood, and through this process metabolizes various compounds, like THC. The most common cannabinoids in cannabis, THC, turns into THC-COOH. Heroin turns into 6-MAM Morphine. Alcohol metabolizes into acetaldehyde. 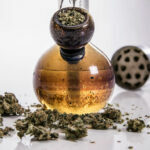 Urine tests, blood tests, and even hair tests all check for the THC-COOH metabolite, instead of the illicit drug itself. Oral swabs stand out because they test for the initial drug or the THC. Facing any drug test is stressful enough, but an oral swab is probably the most stressful. Employers rely on saliva tests because they are cheap and because they test for only the most recent cannabis use. It makes it all the more difficult for employees to prepare beforehand. With that in mind, there are a few options out there which might improve your chances of passing. Try one, or try all, whatever works for your situation before the big test. At the very least you need to stop taking any drugs as soon as you find out about the test. For most people, it will take eight hours for the THC to absorb into the bloodstream. For heavy users, it may take longer. Whether or not you are facing an upcoming drug test, you should always listen to your dentist. What’s good for your teeth might also flush out any lingering THC molecules. Brush your teeth more than usual, up to four times a day before a drug test. Pay particular attention to the areas you usually overlook. This means, your gums, tongue, and cheeks. Another good area to focus on is the crevices between your teeth. Brush carefully, and mindfully. Do you smoke cigarettes? Its recommended to also abstain from cigarettes before a drug test. Smoking anything opens up the cells and taste buds in your mouth, releasing more saliva. This could potentially release more THC. The last thing you need before a drug test is more THC sloshing around your mouth. At the very least stop smoking for 48 hours. Once you pass your drug test, you can go back to your normal routine. Because the standard drug test is a five-prong approach, meaning, it tests for five different illicit substances, it goes without saying to stop doing all drugs. But just like the infamous Seinfeld episode, where Elaine tests positive for opium, you also should stay away from poppy seed bagels. Poppy seeds come from the same poppy as opium, be warned! The THC compound is a fat-soluble substance, absorbed quickly into lipids but not into water. Consuming high-fat meals before a drug test can boost the THC absorption rate, transforming THC into THC-COOH. This may get you off the hook for an oral swab drug test. However, it will increase the amounts of THC-COOH stored in your fat cells. 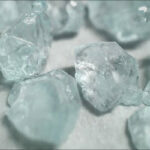 Beyond staying hydrated, some people recommend chewing as much ice as possible before a saliva test. This keeps you hydrated overall, and dilutes the THC content of your saliva to hopefully below the testable levels. Let’s get serious now. If you google how to pass a mouth swab test, you’ll get confronted with some sketchy techniques. Let’s take a look at what you should not do under any circumstances and we will also tell you if you can refuse a drug test on page two. There are suggestions online about using chemicals to pass an oral swab drug test. You aren’t alone if you’re cringing at the idea. Learning how to pass a drug test with peroxide is not at the top of everyone’s list. But, it is still one last-ditch option, open to the most desperate pot smokers facing a surprise drug test. Importantly, using chemicals to cleanse out your mouth shouldn’t be the first option you attempt. Using peroxide or other harsh substances falls squarely under the “Try at your own risk” category. These chemicals come with warning labels for a reason. If hydrogen peroxide is a bit too toxic for your personal tastes, there are much more natural options to try. Some recommend swishing with lemon water two to three times a day until the drug test. Others suggest white vinegar, used in the same way. If you do try the peroxide method, be sure to dilute it before cleansing. Never swallow the mixture, and carefully rinse out your mouth following each gargle. Do Employers Still Give Mouth Swab Drug Tests? The short answer is yes. Employers across the U.S. still use mouth swab drug tests to determine employability for both new and old staff. You’ll encounter drug testing in all federal and state agencies, in the oil and gas industry, and for those who work with children. Some schools are now starting to drug test, although this is controversial. In these sectors, you’ll likely encounter an oral swab as a new hire. You may also face a drug test as a requirement for any promotions. Some employers also require random drug testing, perhaps for high-risk positions or those working with heavy equipment. As America starts to legalize marijuana, state by state, it’s affected on-site drug testing. Some companies began implementing it out of concern that their employees would start showing up stoned. While other companies, have removed the requirement and relaxed their company regulations. What has dramatically changed is roadside cannabis drug testing. In states with recreational and medicinal marijuana, the police have ramped up drug testing during routine roadside checks as well as if they suspect intoxication. In many cases, they are relying on oral swabs. If you do face police mandated mouth swab, it is ill-advised to fake it. If you are caught suddenly brushing your teeth or spitting out mouthwash, technically the police officer can take that saliva as evidence. Plus, it’s going to look pretty suspicious. Can you Refuse to Take a Mouth Swab Drug Test? Drug testing is legal. It is mandated across federal and state agencies, so much so that even the President of the United States is subject to them. If the president has to take a drug test, then it goes without saying it’s mandatory for federal employees. There is no getting out of it. The Supreme Court did rule that drug testing infringes on an individuals rights, but don’t get too excited. They also ruled that in some cases, it’s legal to infringe on an employees rights when the health and safety of others are at risk. But what if you don’t work for the federal government? Can your private employer still test you for drugs? It does vary from state to state, but just like at the federal level usually there are legally acceptable times an employer can drug test you. 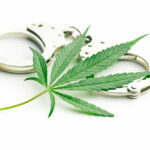 Can you refuse to take a drug test at a privately held position? Maybe, but it’s likely going to impact your employability. Consider what your company is going to think if you refuse to take an oral drug test. You might be cut from the potential list of candidates, or passed over for a promotion. It might not be fair, but it’s a reality. “Hey all, I decided to write a little experience comment, because everywhere I looked online I couldn’t find a solid answer to someone passing a saliva drug test. I’ve read multiple pages claim 24-72 hours abstinence from weed will be enough. I’m pumped because I just passed my drug test (for a job I really wanted) and I last puffed the golden stuff 23 hours ago. I smoke regularly and usually concentrate, so needless to say I was worried. The key is brushing the teeth. Do it like you haven’t visited the dentist in years and are about visit again. I brushed everything inside my mouth, gums, tongue, even the cheeks. Every single millimeter inside, better safe than sorry. I brushed 3 times the day before and 4 times the day of. Also, drink copious amounts of water, use mouthwash every time you brush, and I even went a little extra with gargling vinegar and water right before heading out to test. An oral swab is one of the most straightforward drug tests to pass because of the short duration that THC stays in your saliva. Your saliva is comparatively easy to clean, compared to blood and urine. How to pass a mouth swab test? It’s pretty easy if you follow a few steps mentioned above like eating fatty foods and staying hydrated. There is no need to panic, so long as you are prepared. You’ll usually get a few hours notice to prepare before the test. An hour should be enough time to cleanse the THC out of your saliva. If you are still nervous about an upcoming saliva test, beyond the basic recommendations on how to pass a mouth swab drugt test, we’ve got you covered. There is much more to explore on how long does THC Stay in your saliva, including what lifestyle changes you can make to improve THC absorption. Knowing the full facts behind how a saliva test works can help you prepare.